Even though I am a lipstick girl at heart, I can't help but reach for a good ol' lip balm from time to time. More so now that the weather is starting to warm up. During the summer months, lip balms are almost all I really use during this time. They not only feel lightweight on lips, but they are also conveniently low maintenance. I received this NYC New York Color Applelicious Glossy Lip Balm ($2.99) in the shade Big Apple Red in my Influenster Spring Fever VoxBox, and it has recently since been in constant rotation in my routine. I haven't been this excited about a lip balm in a long time. NYC New York Color's Applelicious Glossy Lip Balm offers color, moisture, and shine. All the good stuff is in the super cute looking, apple-shaped core. The core is infused with moisturizing ingredients like Jojoba oil, Vitamin E, Shea butter, and Avocado oil. All amazing treats for dry and parched lips. Big Apple Red couldn't have been a better shade pick for me. The red tint doesn't skimp on color, and the juicy bitten look that results is ridiculously natural looking. Not to mention, my lips have a much healthier appearance to them, thanks to the added glossy shine. My lips are pretty dry prone, and for me, this lip balm is very effective at giving my lips a moisture boost, along with some added softness. Even though the lip balm fades away after a couple of hours, I love that my lips still have that moisturized look and feel which prolongs all day long. It may be no surprise that this lip balm contains an apple fragrance. It's a little artificial, but not terribly so. The apple scent is light, and I actually find it to be quite pleasant. 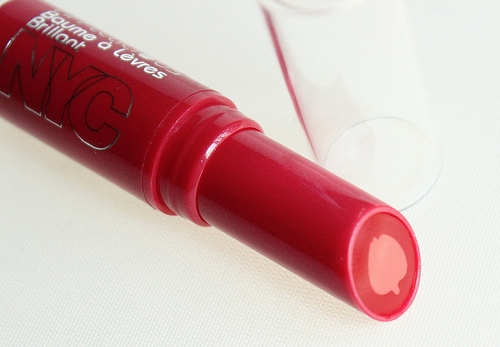 Overall: I can't rave enough about NYC New York Color's Applelicious Glossy Lip Balm in Big Apple Red. It not only contains moisturizing ingredients, it also offers a lovely tint to lips that I am sure many will find very flattering and easy to wear. 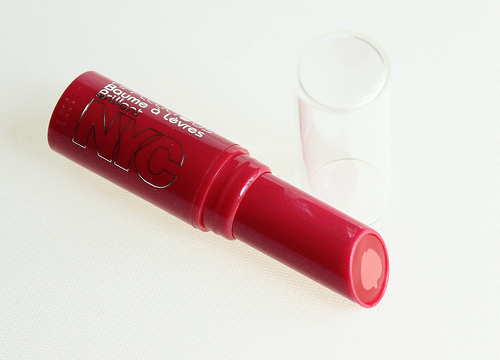 What do you all think of NYC New York Color's Applelicious Glossy Lip Balm? I'm so jealous! 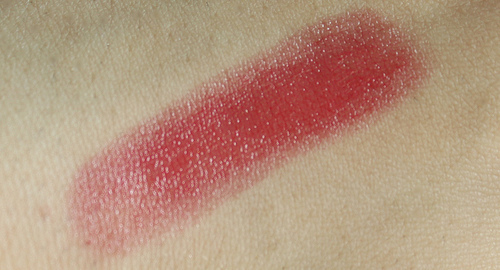 I've been looking all over for this shade, everytime I look they don't have this color! Sorry to hear that! I hope you can locate it soon! The apple is super cute, Coco! And the fact that the apple core contains loads of moisturizing ingredients is the icing on the cake!